It was clear to me that I my jumpsuit would me a day garment. I would never wear a jump suit as an evening garment as it is not me to do so, not that it is something wrong with it. Already got a few wears of it. 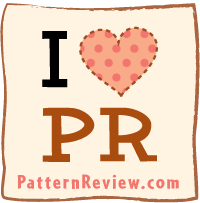 Ralph Pink Patterns are all PDF patterns, each size is separately printed so if you are between sizes you might be in for a bit of work . But for me I am a straight size 12. Love patterns that I do not have to do a full bust adjustment. yey! However they are drafted for taller frames. So consider that as well when making their garments. I printed and cut my pattern but decided rather than shortening the pattern, I used on horizontal seams a seam allowance of 2 cm rather than the 1cm that’s recommended in the instructions. Although the instructions are pretty basic, they are easy to follow. However, I feel that a complete beginner would struggle with these patterns. It was pretty easy for me to put it together. Not many problems with fit as it is designed to be a lose fitting garment. The jumpsuit also has a self fabric belt. I made some belt loops to secure it on the jumpsuit when I don’t wear it so that I do not lose it. I also skipped the facings on the armhole, an d used bias tape to finish them. I am able to wear it with flats as well, the only trouble is that it can be a bit uncomfortable when you are out and about and need the bathroom! Anyhow, that did not stop me from enjoying wearing it. If I make another I will consider shortening the bodice further as I don’t like how the front hangs. I will also remember to do button holes on the pant fly front before attaching the front bits together. 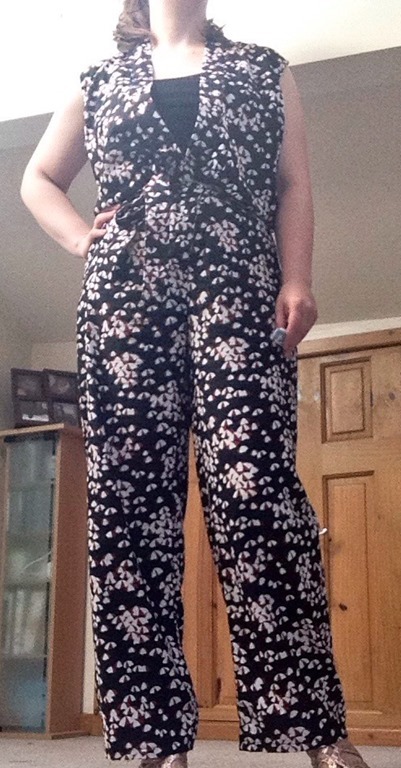 Overall, I am happy with it and love that I am not between sizes! Would have to have to print so many sizes and figure out how to trace between sizes. All I have to to is to adjust the bodice length and I am sorted. 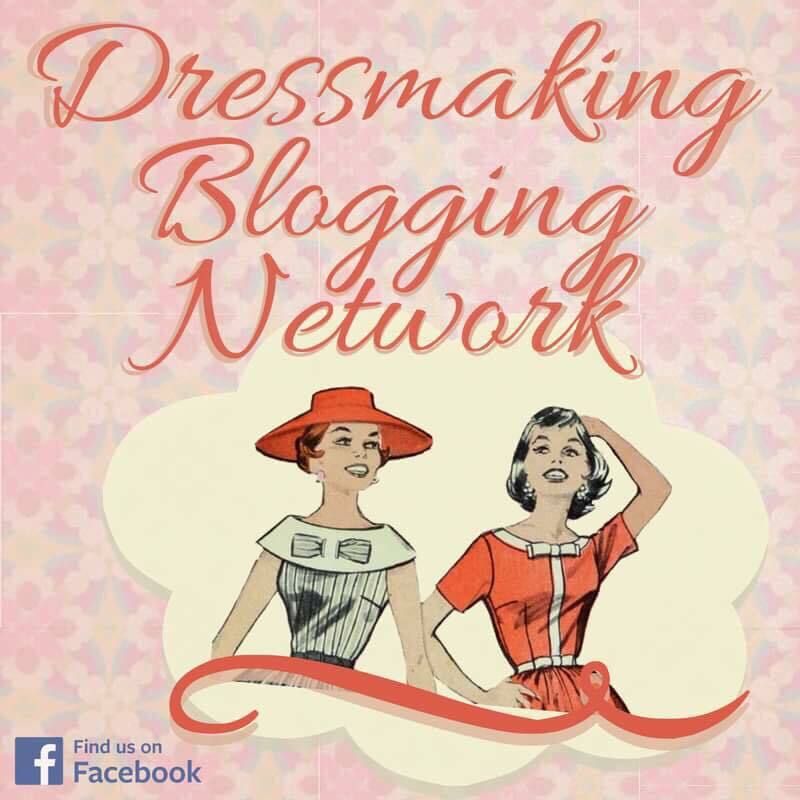 Next Hop Hop, Blog Hop! !